Now I'm the biggest Google fan there is. Look at this Google Now card I got recently at my daughter's house. The "Watching TV?" card says "Sony TV found on Wi-Fi network." 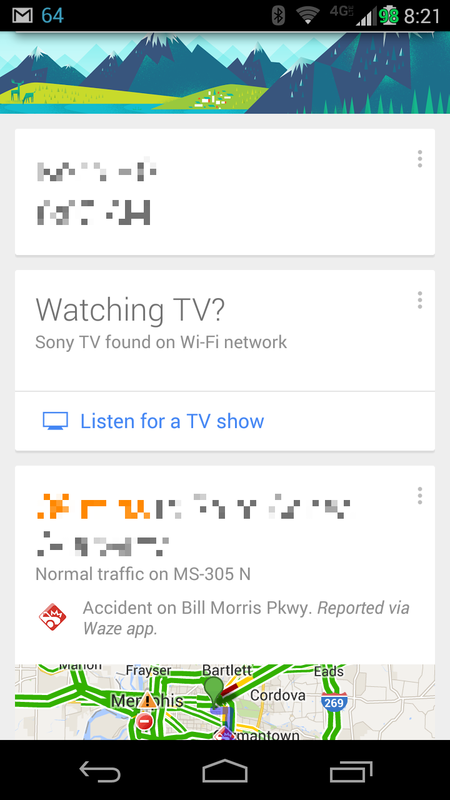 I'm not sure I'm Ok with my Android phone scanning every Wi-Fi network I connect to looking for TVs. What else is it looking for? Nests? The Wi-Fi network is WPA2-PSK so I had to authenticate to it but I didn't expect the Android phone to scan it.